Katrina took many things from us. One of which must have been the tree that stood here for oh so many years. Never you mind. There are other ways to stay out of the sun. 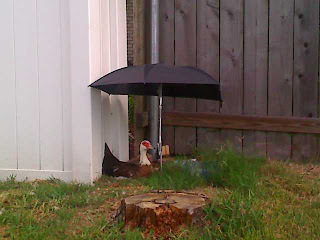 How this goose got that umbrella to open without opposable thumbs, must have been surely entertaining.